Results: 1 to 10 of a total of 236 results. Live where the work is... I'm a heavy equipment operator and there are plenty of opportunities in the Northern Virginia to take advantage of. Does winstongold belong in this group? Does ricklanden belong in this group? Does smartserenity belong in this group? The Infamous Mr. K Born here, raised here and stuck here. They say virginia is for lovers, could have fooled me. Prove me wrong anybody? Does saintvox belong in this group? Does blznskies belong in this group? Does fashion95 belong in this group? Here to enjoy the company of transmen Please hit me up would love to meet more. Does awonderfly belong in this group? Does teetee76 belong in this group? 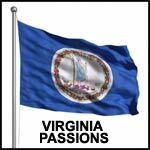 Born and bred VA head Family.If what keeps me here. I have most of my close family here. I am willing to explore all VA has to offer though. Does onejuanwins belong in this group?